Not only will CiviCRM understand Sales Tax, it can actually allow users generate Sales Tax invoices right in the back office. This will eliminate the need to track invoices separately in your accounting software and manually upload transaction data. How are variable tax rates handled? 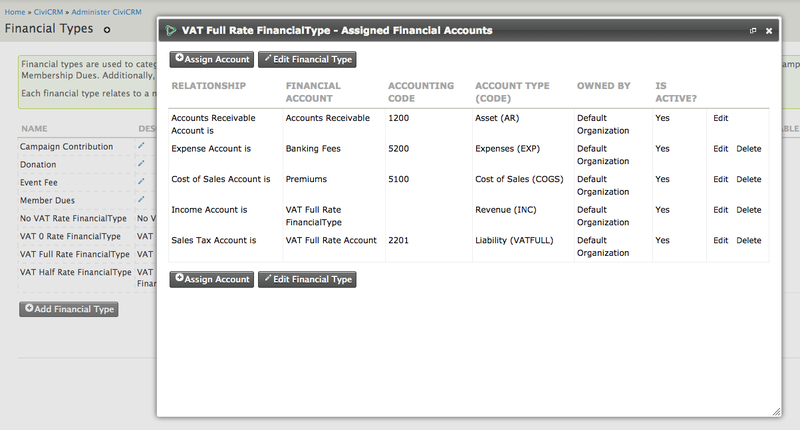 Variable tax rates can be configured by creating separate “Financial Accounts” for each. We modified core to use “Is Tax?”, the financial account type must be “Liability” and will require that a “Tax Rate” be specified. Tax exemption is supported by setting the percentage tax rate to 0%. Then create “Financial Type” and link it to above financial accounts. View Contributions with Sales Tax. We would like to thank Jamie Novick for his contributions to the wiki and assistance in planning and testing this functionality. We would also like to thank Joe Murray who was a consultant on the project. As a US non-profit, we don't have to deal with sales tax or VAT. But we DO need an invoicing solution. Is this extension specific to VAT/tax needs, or could it be used for generic invoicing as well? We have done work separately on invoicing for another client. I don't think we've had a chance to submit it yet, but shoot me an email and I can send you what I have. 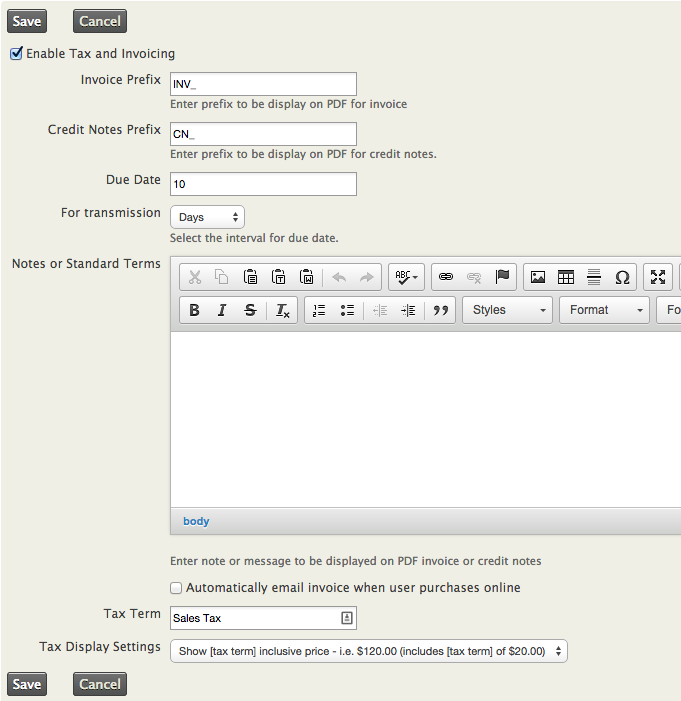 Invoices can be printed or emailed from Find Contributions actions or when viewing a contribution. We have not done a full internal QA yet though so expect some 'bumps in the road'. 1) It seems a price set must be used, since different financial types can only be used there, correct? 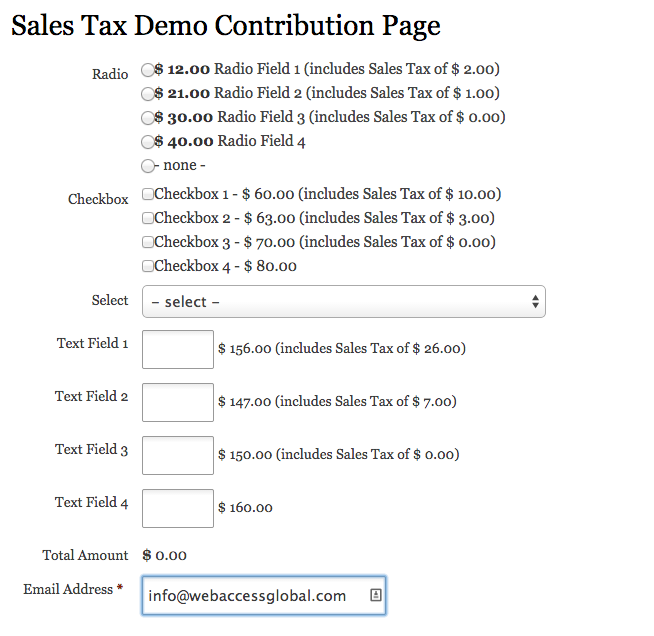 2) Please provide the steps to get the Contribution with Sales tax screenshot above. When I view the contribution, I don't see the sales tax column. In general, this type of question is best posted on StackExchange. 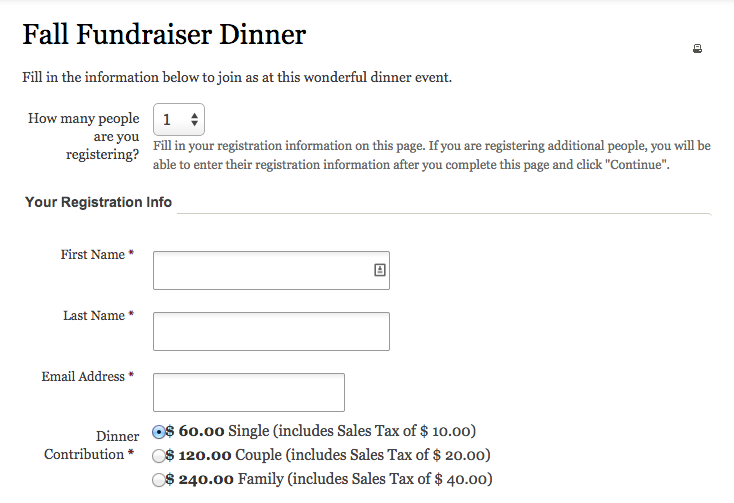 RE: 1: Yes, if 2 tax rates on portions of a set of event fees - must use a price set. 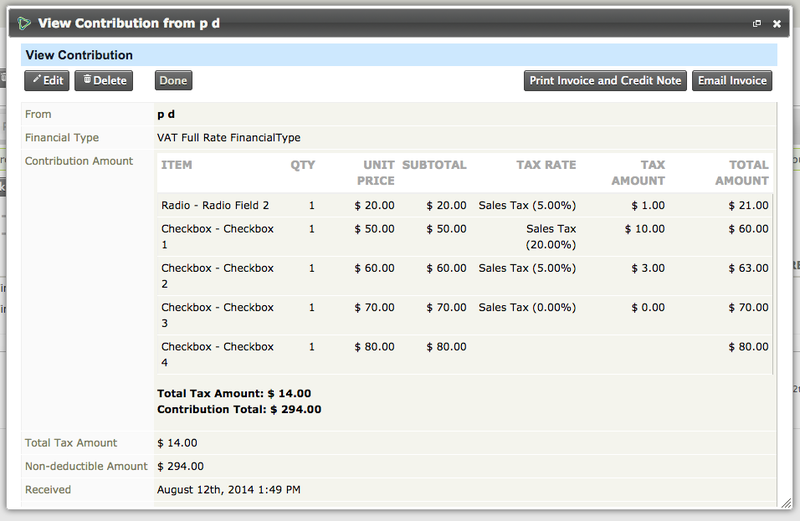 RE: 2: I just tried this on 4.6 public demo and Tax line item shows as expected for non-price set contribution. while the columns above show for contribution related to price set event. Is there a plan to modify the CiviCRM reports, for example the Bookkeeping report, to display the base price, tax amount and the total?